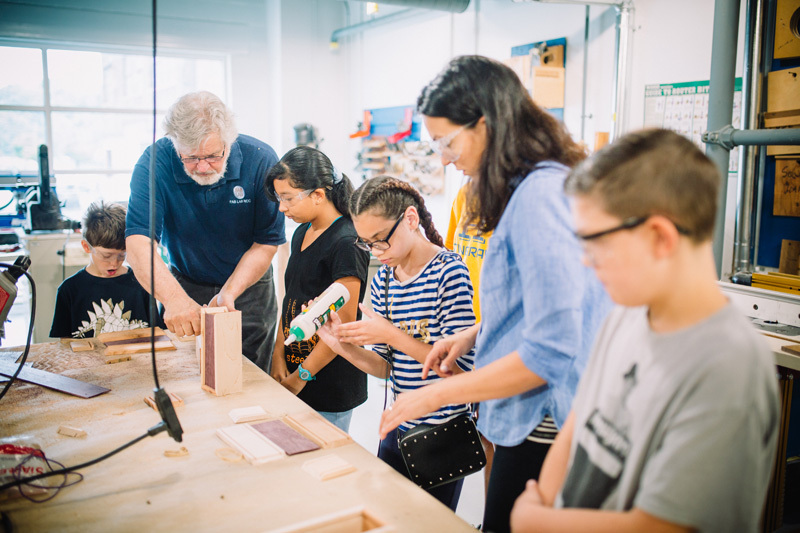 Through contributions to NMIH’s Future Innovators fund, donors help students engage with science, technology, engineering, arts and mathematics (STEAM) and social history learning opportunities. These donations help to offset the costs of school field trips and outreach programs and underwrite special youth and educator-focused museum programming. Please read below to find out more about the program and use the form below to apply for funding for your educational facility. Applications should be submitted at least 60 days prior to desired visit date. Funds are available to qualified organizations only and will be granted based on availability. Organizations may receive partial funding, based on funds available. The Future Innovators Fund covers all per-student charges for group visits but does not cover meals or transportation. • Your students must be between 2nd through 12th grade. • Your school must have 40% or higher student eligibility for free or reduced price meals. You must complete a request application. If you are selected to receive an award, you must make all the arrangements – including permission forms, transportation, administrative approval, etc. On the day of the trip, your school must provide the appropriate number of teachers and chaperones for your students, depending on their grade level and type of program. For field trips, the Museum requires one adult for every ten students. You must arrange for and supervise all necessary transportation. Click here to download an application for Future Innovator Funds.